We had a great time at the National Craft and Design Fair last week. 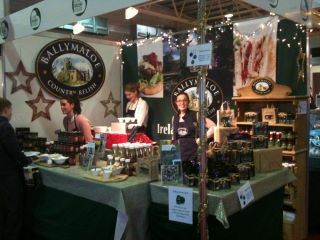 As usual we had lots of tasty samples on offer, such as Ballymaloe Cranberry Sauce with Cooleeney Camembert and Ballymaloe Jalapeno Pepper Relish on Bandon Vale West Cork Cheddar. Thanks to everyone who dropped by our stand.